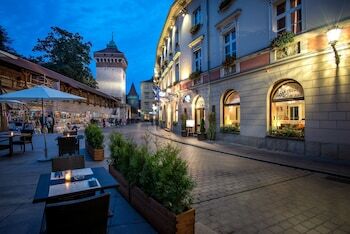 A stay at Hotel Polski Pod Białym Orłem places you in the heart of Florianska Street, steps from Florian's Gate and Czartoryski Museum. Featured amenities include a 24-hour front desk, laundry facilities, and a safe deposit box at the front desk. A roundtrip airport shuttle is provided for a surcharge (available 24 hours). With a stay at this apartment in Zakopane, you'll be a 2-minute walk from Krupowki Street and 6 minutes by foot from Tatra Museum. Free self parking is available onsite.